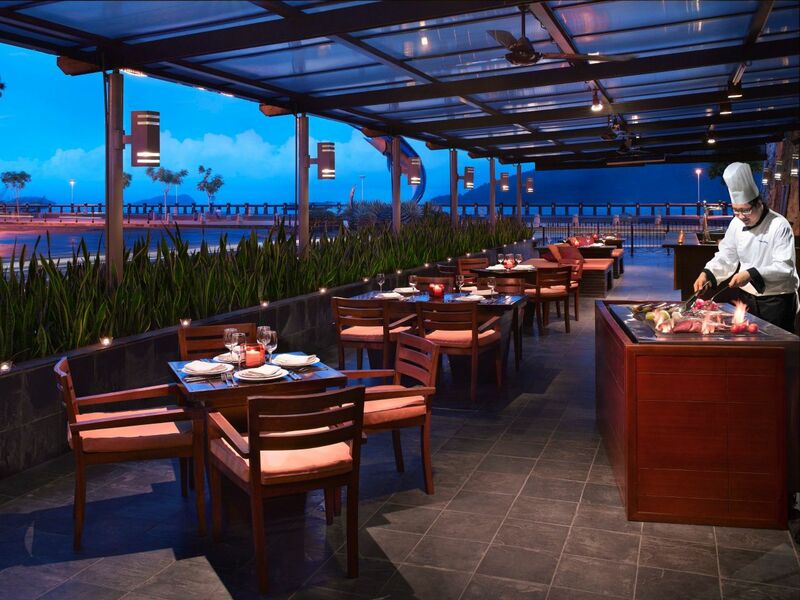 Hyatt Regency Kinabalu offers six appealing restaurants and bars featuring outstanding Asian flavours and international cuisine. Start your day with the best coffee in town and snacks at Mosaic. For lunch or dinner, explore the unique multicultural Malaysian cuisines at the exciting live stations at Tanjung Ria Kitchen. 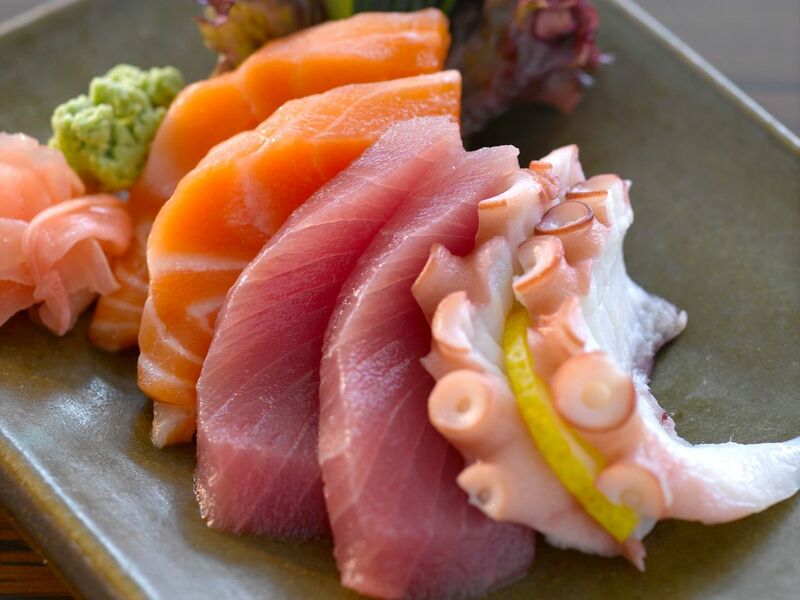 Alternatively, opt for authentic Japanese dining at Nagisa with a sushi counter and teppanyaki grill. In the evening, go for a swim or relax with a cocktail and watch the stunning sunset at The Poolside Bar. Unwind with after-dinner drinks at the luxurious residential setting while connecting with friends at The Lounge. Head up to Shenanigan’s Fun Pub, the place to be seen in town and party all night long with live entertainment. After the party and feeling hungry, 24-hour room service is always available. 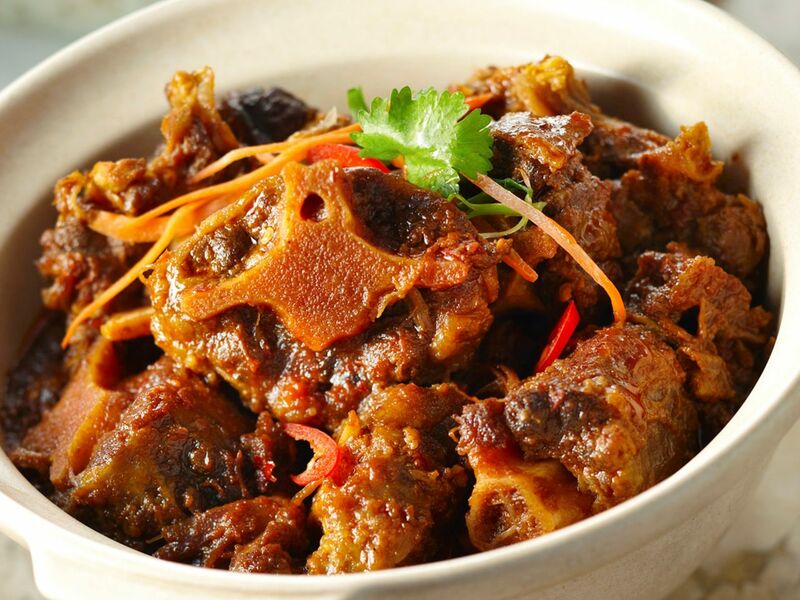 Explore the unique multicultural Malaysian cuisines and all its flavours at the exciting live stations at Tanjung Ria Kitchen. 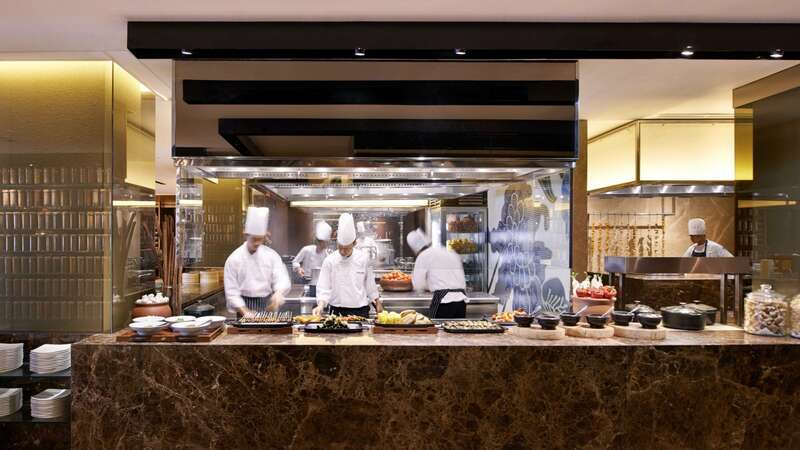 The restaurant’s show kitchens take centre stage as the chefs showcase the extensive variety of dishes or alternatively, you can also ask the chef to prepare fresh the selection to your individual taste. From traditional Chinese peking duck, fresh naan breads from the tandoor, succulent ribs and roasts from the oven to traditional Malay Oxtail Assam Pedas, Nasi Lemak rendangs and ever popular satay. Complete your discovery of Malaysian cuisine by indulging in local sweet delights including ice kacang, pisang goreng and seasonal Malaysian fruits. 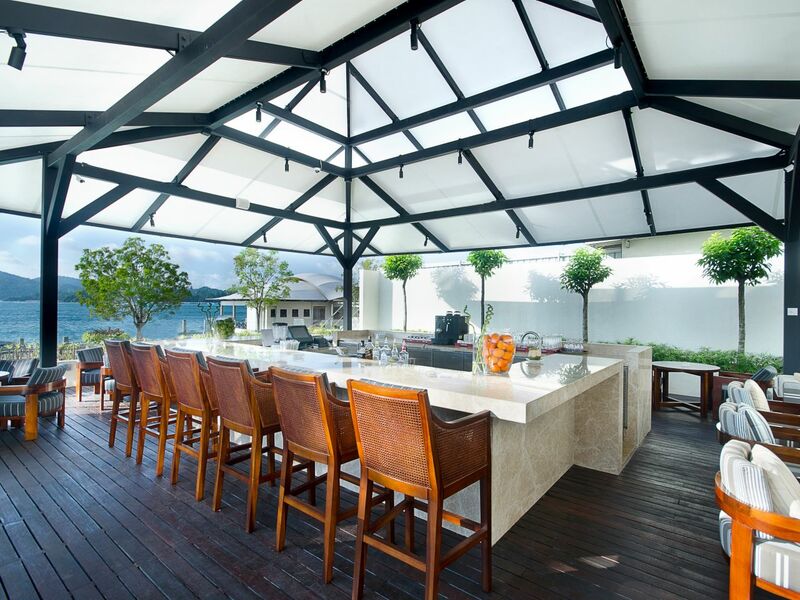 The halal–certified Tanjung Ria Kitchen offers the opportunity for semi-private areas for small groups to large parties, or the perfect venue for business luncheons or family gatherings in a contemporary setting. 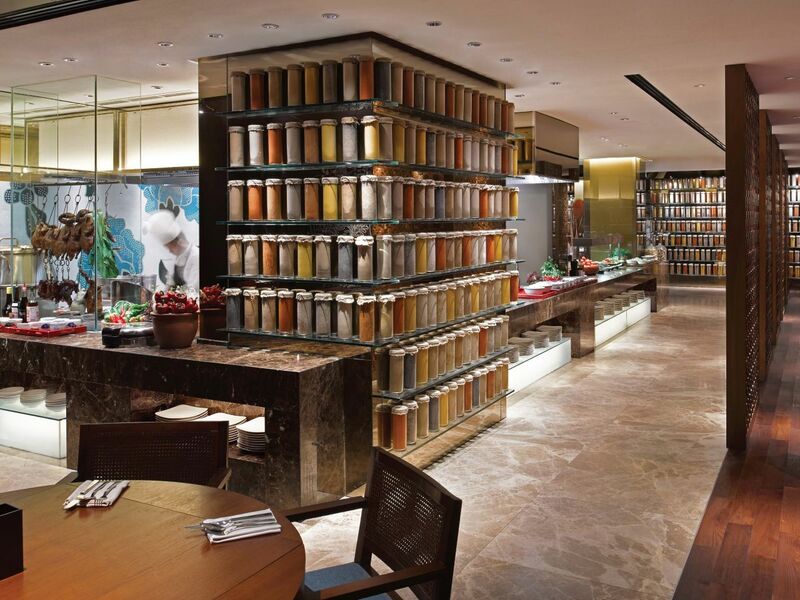 Discover the flavours of the world prepared by our talented chefs. Indulge in an Easter Sunday brunch that consists of American - inspired specialties alongside a host of cupcake treats. Variety of kids' activities such as egg hunt and egg painting are prepared for a fun - filled Easter day. Save more when you purchased our Ramadan voucher which features an array of mouth - watering delicacies at Tanjung Ria Kitchen. Styled after a Japanese winter cottage, Nagisa presents authentic Japanese cuisine in an exquisite setting. Overlooking the South China Sea, the dark wood panels and narrow passages open to the large dining room yet with traditional Japanese settings. The sushi counter allows you to watch the chef at work, or be entertained by our teppanyaki chefs, for a more authentic setting our tatami room and private dining rooms allow for private conversations. Enjoy an extensive meni of Japanese favourites inclusing sashimi, maki, salads, chicken teriyaki and desserts. Enjoy an extensive menu of Japanese favorites including sushi, sashimi, salads, teppanyaki, tempura, and many more. Treat yourself and family to a dim sum feast every Sunday. Enjoy choices of dim sums, the signature black moss porridge, fried wontons and desserts. For April and May, Nagisa will feature a new bento box inspired by Japan's beautiful season of cherry blossoms which includes Ebi Yasai Salada, Sake no Toro Sashimi, Tamago Yaki, Tori Ume, Unagi Katayaki and Sakura Gohan. Join us in the Sakura live environment and savour the season's best offerings at Nagisa. Connect with friends over a cup of aromatic coffee from the barista. Catch up with family and munch on delectable gourmet pizza or pies. 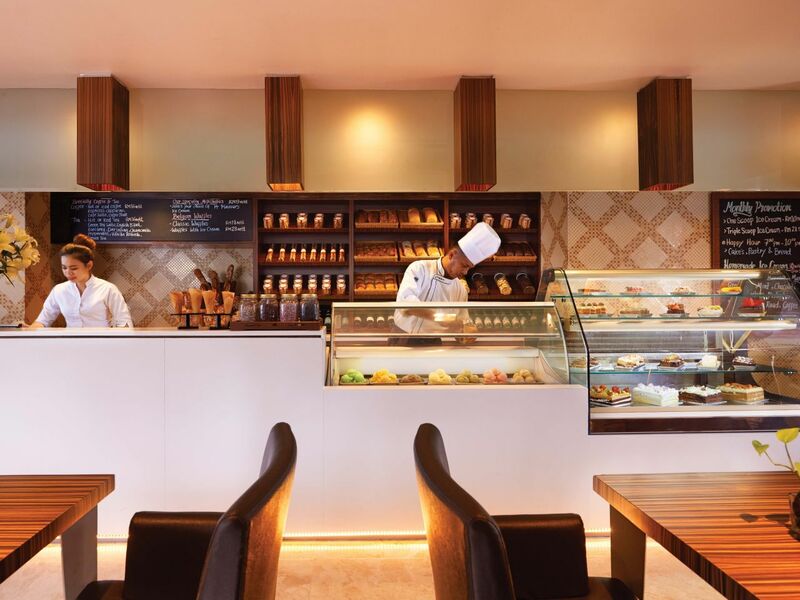 Treat yourself to one or more of our 14 flavours of distinctive homemade gelatos and wide range of cakes. Stay a while and unwind with a good book, catch up on social media with the fastest complimentary Wi-Fi in town. If you are in a hurry, grab a drink and snack to go. Take home any of our custom made cakes and roasts that will be perfect for your special occasion or party. Conveniently located at the street level of the hotel, your exciting exploration and discovery of Kota Kinabalu begins at Mosaic. Look no further if you are looking for Easter treats as Mosaic brings you delicious range of baked goodies including hot cross bun, cinnamon rolls, Easter-inspired chocolates and cakes. The award-winning nightspot and bar in Kota Kinabalu that offers live entertainment and DJ performances daily. Known for having the best bands in town, it is the place to be seen, and also to watch the skilful bartenders prepare cocktails and long drinks, as the entertainers keep the partygoers on the dance floor all through the night. Happy Hour: Wind down from a hectic day at Shenanigan’s Fun Pub with our Happy Hour prices from 6:00 PM - 9:00 PM every night. 50% off house pouring liquors and spirits is sure to make for delightful times! House Resident Band: Every Tuesday to Saturday, be entertained by an energetic in house resident band 9:30 PM onwards at Shenanigan’s, Kota Kinabalu city’s most established nightspot brings to you fiery performances from these experienced entertainers. Smart Casual. No slippers and singlets for men. The place to connect with friends, family and business associates. From casual meetings, business discussions or private chats, The Lounge is the place to connect and create meaningful conversations. Centrally located on the lobby level, it is a place where historic decisions have been made and the course of the state’s history has been chartered. 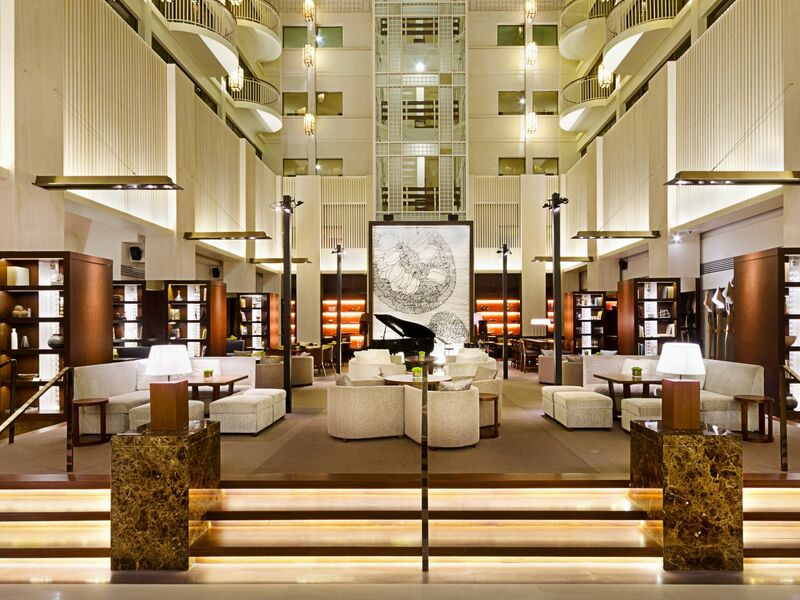 Today, that history continues as guests from all walk of life come and meet at The Lounge to chart their own path. It also is the ideal spot to sit back and unwind with after-dinner drinks in a beautifully appointed luxurious residential setting. With a wide range of repertoires, including pop, jazz, evergreen oldies, and top 40’s, indulge in the soothing and relaxing performance by 'Smooth Notes' at The Lounge. Watch the stunning sunset at the best waterfront location in the city that overlooks the South China Sea. Relax with a cold cocktail and experience the city as it comes alive in the evening. Unwind after a full day exploring the city or everything else Sabah has to offer, a quick bite, a refreshing drink and a swim in our pool. Private cabanas also offers the opportunity to laze away in the late afternoon while enjoying the cool sea breezes, beautiful sunsets and great value, all of which come together to create memorable times that are best shared among friends. The ultimate in convenience to start your day for early risers, a romantic dinner for two, or a hospitable gathering. From snacks to full course meals without leaving your Kinabalu hotel room. Call us for all the pampering touches. A range of comfort foods are available all day, and other delicacies during lunch and dinner hours. Available 24-hours a day. To place your order, please dial ext "0".